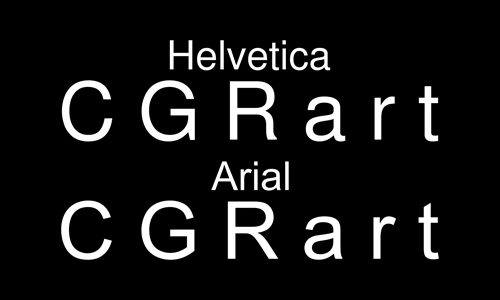 A few years back, to coincided with the typeface’s 50th anniversary, director Gary Hustwit made the analytically insightful documentary ‘Helvetica.’ As the film illustrates, the typeface Helvetica has become ubiquitous with modern life. Quite simply, it’s everywhere. The typeface was originally designed in 1957 by Max Miedinger and Eduard Hoffmann for the Swiss type foundry Hass. Their goal was to design a new sans-serif typeface that would compete with the ‘other’ very popular (at that time) sans-serif font, Akzidenz-Grotesk. The aim of the new design was to also create a neutral typeface that had great clarity and that also had no intrinsic meaning embedded in its character or form. Fast forwarded a few decades to the year 2000 and Gotham, another ‘popular’ sans-serif typeface, designed by rock star typographers Hoefler and Frere-Jones. Gotham, however, unlike Helvetica, is a very American typeface: ‘Gotham celebrates the attractive and unassuming lettering of the city.’ And, as legend goes, the font’s characteristics are based on ‘the no-nonsense lettering of the American vernacular, those letters of paint, plaster, neon, glass and steel that figure so prominently in the urban landscape.’ But what’s ironic, in some ways, is that Gotham has now become the Neue Helvetica for our new Millennium – it too is now everywhere! It’s a funny thing really, but every anally-retentive-American-type-loving-graphic-design-geek has fallen for Gotham and all its charms. Don’t get me wrong it’s a beautifully designed typeface – that in itself is actually quite an achievement. Every letter has been perfectly considered, Mssrs Hoefler and Frere-Jones must have spent many hours analyzing the kinks – and I’m being serious. Seriously! But truthfully, what started as a love affair, has now become an infatuation. Everywhere you look – from Barack Obama to Tom Ford – Gotham is being used by everyone. There are countless examples, Yahoo, Emblem Health, WNET.org (including PBS channels 13, and WLIW21), Daffy’s, Madison Square Park Conservancy, Union Bank, Coca-Cola, the Discovery Channel, New York’s ‘Freedom Tower,’ Chicago’s 2016 Summer Olympic bid, and on and on and on. In fact, I have to admit I’ve become infatuated too! Something that’s clear from Hustwit’s movie is the cultural baggage attached to Helvetica’s heritage has many trans-Atlantic points of differentiation. Pentagram’s Paula Scher for instance classifies the font as the ‘typeface of the Vietnam War’ and the Iraq war as well – quite simply – for many Americans – Helvetica is the typeface of American corporate aggression and greed. Period. This association was born out of a sans-serif love affair that originally started during the mid 60s and went on into the early 70s, when every institution across America was transformed by Helvetica’s clean, streamlined attitude. The love affair however ended in a Grotesk backlash which began during the early 80s and went on into the mid 90s. Started by the ‘anti-Helvetica league’ (whose members might include Paula Scher, David Carson and Stefan Sagmeister), a ‘new-wave’ of designers who fed American’s more human and more personal – ‘designer as author’ – ‘vernacular’ – solutions. In turn, the backlash ended in a similar backlash at the end of the 90s, when we saw a return to structure and the beginnings of stuff that actually looked like it had been ‘designed’ – incredible but true. Enter a new Millennium. Enter Gotham. Voila! It was clear that American designer’s were yearning for their answer to Helvetica. Clearly there was a cultural hurdle that could never be bridged – Vietnam, corporate greed, the 70s etc. Clearly the rise and re-saturation of Helvetica in England during the late 80s, and en masse during most of the 90s, just became unbearable for the Brit loving Yanks. So not to be out maneuvered, it became clear there was a need to find a cultural ‘design’ equivalent. Fast. Originally commissioned by GQ magazine – whose editors were looking for something that looked ‘new and fresh’ – Gotham’s character clearly transcends Helvetica’s impersonal nature. Consequently we find ourselves easily falling in love with its more human and more cozy characteristics – aspects that are definitely not apparent in Helvetica’s arms-length personality. Most importantly, Gotham’s injection into Obama’s Presidential campaign significantly caught the typeface up in the tidal wave of hysteria surrounding his election. Consequently, Gotham’s trajectory became wrapped in a new cultural representation – change. Gotham quite simply came to represent change and all that we have come to believe that can mean: a new future, prosperity, ambition, pride. Basically Gotham has become the typeface of a nation, that’s lost and helpless, struggling to find hope and a light at the end of the tunnel. Cultural baggage reigns again but like all love affairs, time will be the true test of Gotham’s staying power and real cultural relevance, long term. Perhaps in 50 years from now Gary Hustwit might be making ‘Gotham: it’s everywhere’ … I guess we’ll just have to wait and see if the typeface lives up to the dream. My guess would be another cultural backlash, or sheer boredom. At some point designers will tire of the sky blue royal blue Gotham Bermuda Triangle we’ve all become infatuated with and move on to something else – please. Like Helvetica, Gotham IS an exceptionally brilliant typeface, it really is. But its friendliness and ability to make anything look ‘designed’ are reasons that at some point – maybe post 2012 – that it’s cultural associations will become negative baggage which we too may be unable to forget. Ms Palin, I think Comic Sans would be a great choice for your campaign BTW. Gotham’s letterforms were inspired by the engineered characteristics of American street signage as well as early geometric sans-serif typefaces like Futura. It also clearly draws many influences from some of the early grotesques fonts too, such as Akzidenz, which nicely brings our story somehow full circle. 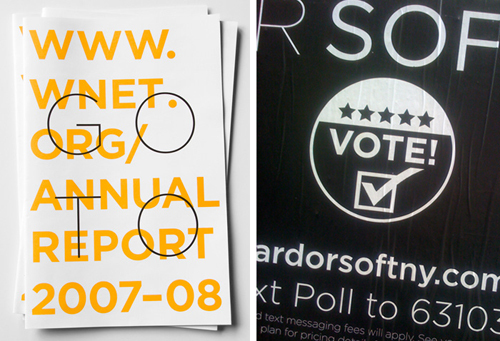 This entry was posted in Op Ed and tagged Gotham, Helvetica, Typography. Bookmark the permalink. I am a graphic design student in his 3rd year. I had this premonition as well, to the point that I googled it just to see if there was any validation. I just kept seeing Gotham everywhere. Sure enough, your well written article sums it up and gives it teeth. Thanks for clarifying a hunch and educating a new generation perhaps. Excellent article, Richard. It points up the notion that great typefaces, like anything else, can become victims of their own success: wildly popular, until we wait with bated breath for their demise. Great article. The increasing ubiquitous use of Gotham is encouraging me to try and branch out a bit. I admit I too fell for Gotham’s charms, and dread the day it starts to look sterile to me. Very interesting stuff. I am fascinated by fonts. My wife, understandably, teases me about this. 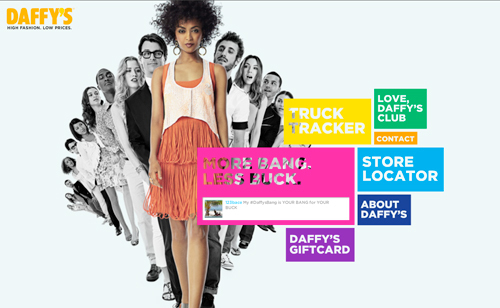 We’ll be driving around town and I’ll see a billboard and I’ll say something like, “See that billboard over there? That font is called ‘Adler’. I love that font.” This is usually followed by a sympathetic (with emphasis on “pathetic”) giggle from the passenger seat. At any rate, a very good read. Thanks!